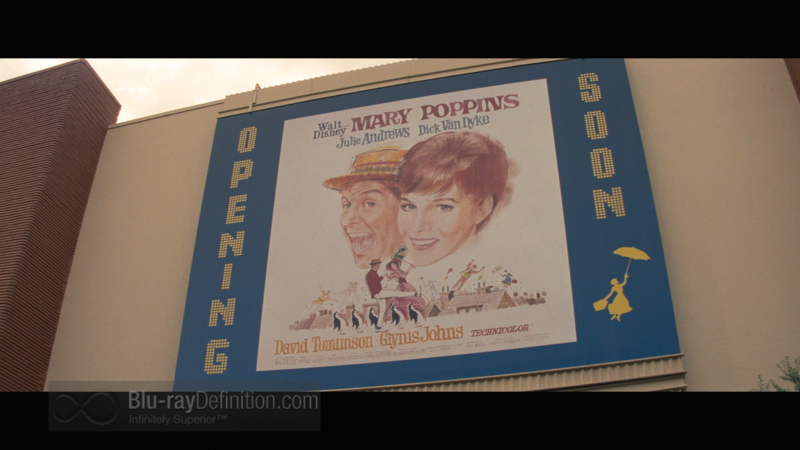 Mary Poppins may be one of the most beloved Walt Disney films but there is a back story to its making that has not previously been told on the big screen. 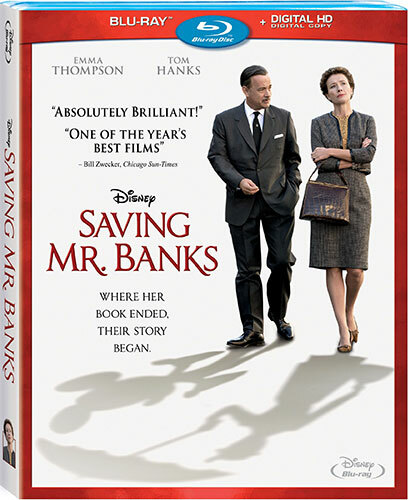 Saving Mr. Banks tells this story and reveals some of the dark elements that went into the creation of Mary Poppins. I should warn those who have not yet seen Saving Mr. Banks that its main plot device does wear over time. This device is the frequent shifting of scenes back and forth in time from Mrs. P.L. 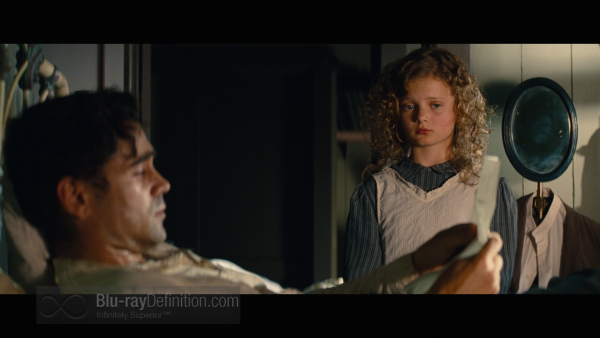 Travers’ (Emma Thompson) troubled childhood in early 20th century Australia (PL as a child is brilliantly portrayed by Annie Rose Buckley) with parents Travers and Margaret Goff (Colin Farrell and Ruth Wilson) to the film’s 1960s-era Los Angeles. Mrs. Travers is a crusty middle-aged woman living in England. She is also the author of a wildly popular set of children’s books that Walt Disney’s daughters loved and that he now wants to turn into a feature-length film. Travers hesitates to accept the contract although her agent Diarmuld Russell (Ronan Vibert) implores her to consider this offer since she is very short on cash. 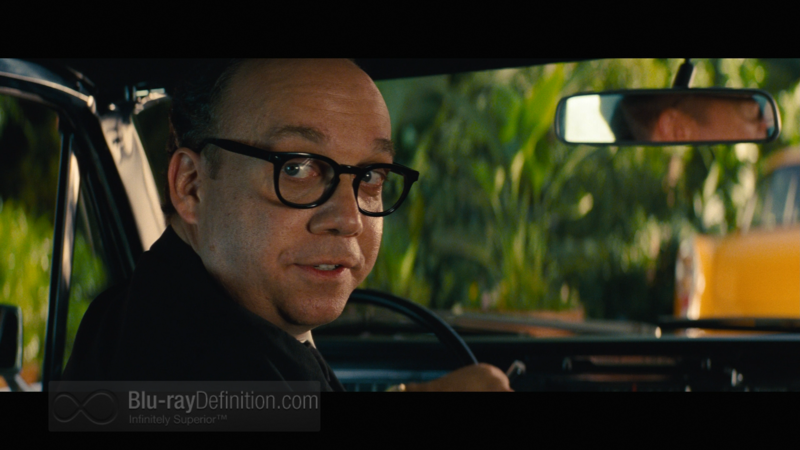 On reaching the City of Angels, the author meets warm-hearted Disney limo driver Ralph (Paul Giamatti) who takes her to and from the posh Beverly Hills Hotel. Occasional chuckles arise from the cheeky repartee between Ralph (“the only American I have ever liked”), and PL, highlighting the obvious differences between the US and the UK. 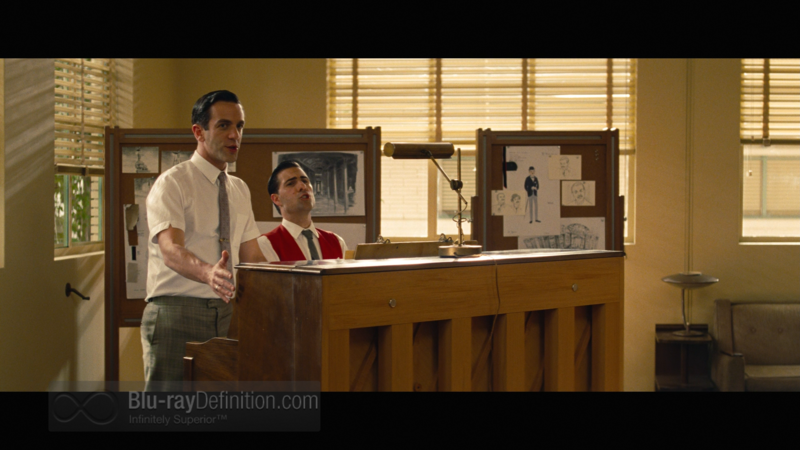 Script writer Don DaGradi (Bradley Whitford), the composer brothers, Richard and Robert Sherman (Jason Schwartzman and B.J. Novak), and pert secretary Dolly (Melanie Paxson) greet her but immediately get the cold shoulder and continuing criticism. We discover that Disney has been approaching Travers for 20 years in hopes of making this film but without success. 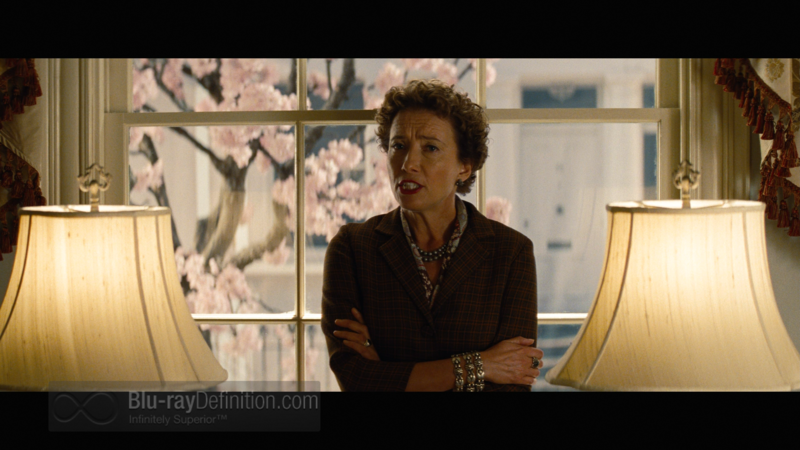 The real drama, if there is one, is whether Mary Poppins the movie will ever see the light of day, particularly since Mary Poppins the musical seems anathema to P.L. Travers. The constant bickering between the author and the Disney “creative” team seems destined to derail the film once we find out that Walt does not yet actually own the rights to the book. 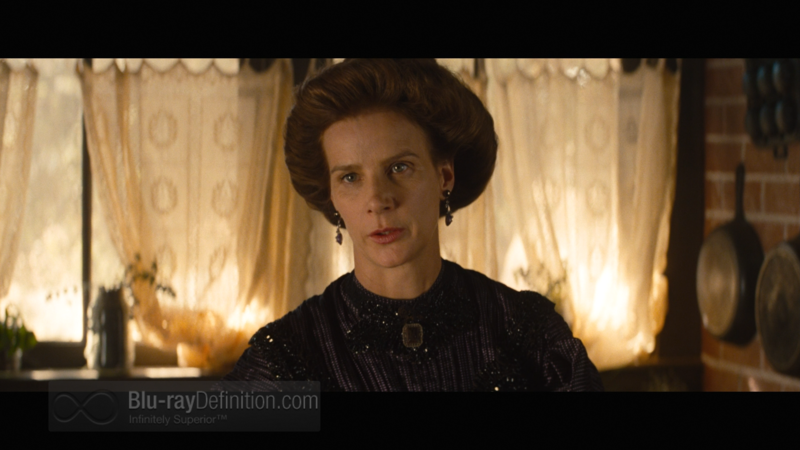 The true inspiration for the Mary Poppins character is Aunt Ellie, Margaret’s sister (Rachel Griffiths) who is given relatively short shrift in the script. If it were not already obvious, the characters in the books are based on members of PL’s family, including her alcoholic father, her depressed mother and her younger siblings. Although more bumps in the road appear, the film does have “happy” ending with the smashing premiere of Mary Poppins. 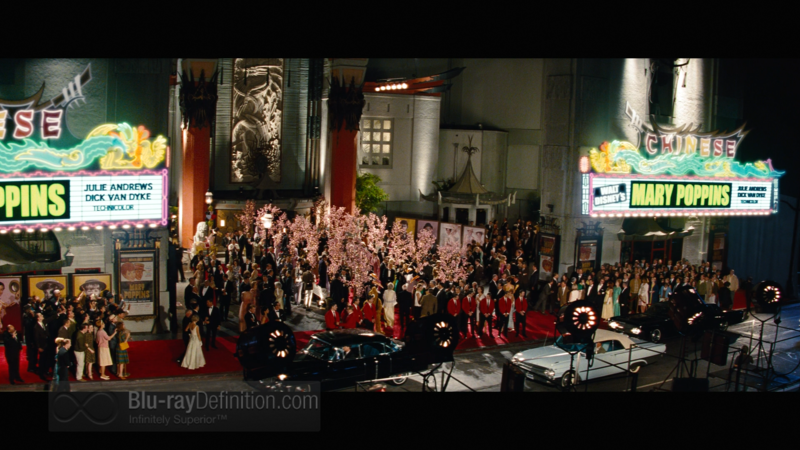 Showing clips from the actual film and a spectacular recreation of the opening night gala, we get a story that both warms the heart and yet disturbs the psyche. The cast could hardly have two better leads than Thompson and Hanks, and is blessed with the excellent supporting actors like Giamatti and Farrell. Director Hancock makes it all come together as a terrific watch that should have received more recognition from AMPAS. 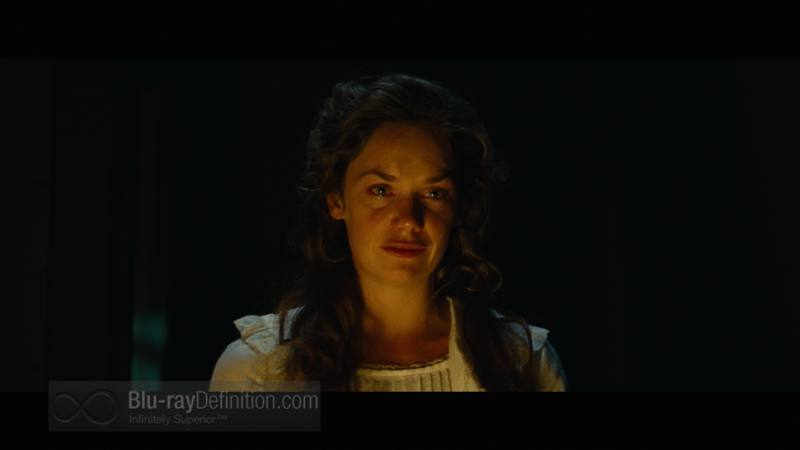 This film is beautifully shot from beginning to end. The close ups are to die for and colors equally magnificent. 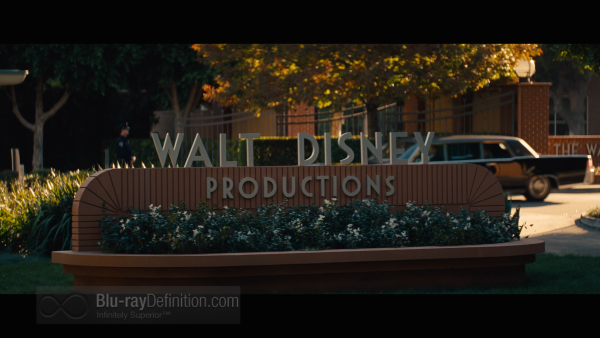 Given the intimate nature of the Disney-Travers story, John Schwartzman’s (half-brother of Jason) cinematography gets the details just right. Thomas Newman (of the Newman Hollywood film score family) contributed a great score (the only Oscar nomination that this film received) and it is extremely well recorded. Dialogue is clear and, with the exception of a few scenes, surround channel information is very limited, making both English soundtrack options very similar. Three deleted scenes (Stargaze, Nanny Song, Pam Leaves) (7:24) (English Dolby Digital stereo 48 kHz/16bit). These little tidbits, each lasting only a couple of minutes were certainly not missed in the main feature (that was already long enough). Featurette: The Walt Disney Studios: From Poppins to the Present (14:35) (English Dolby Digital 48 kHz/16-bit). 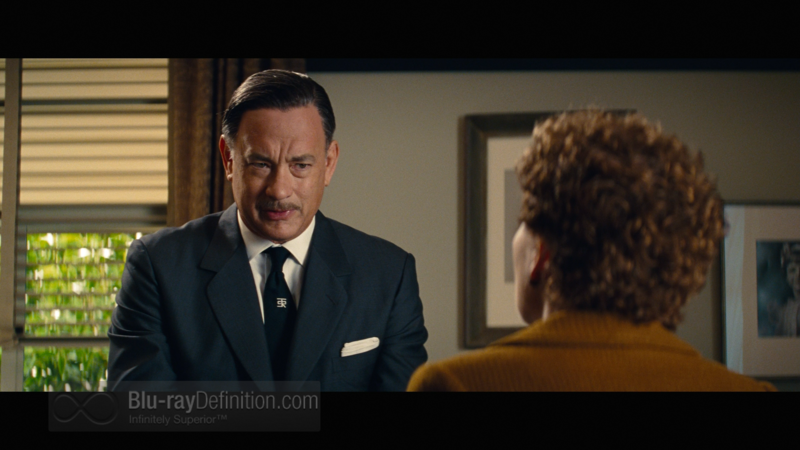 The background of making “Saving Mr. Banks” is an interesting look by director John Hancock, designer Michael Corenblith, and other members of the Disney family into how they saw this project from concept to completion. This is a wonderful remembrance, however brief, that will make viewers smile from beginning to end. Featurette: “Let’s Go Fly a Kite” (1:47) (English Dolby Digital Stereo 48 kHz/16-bit). Mary Poppins film composer Richard Sherman leads the crew in the last day of filming, a frothy little musical number that concludes the actual film. Sneak Peaks at other Disney Films and Disneyland. 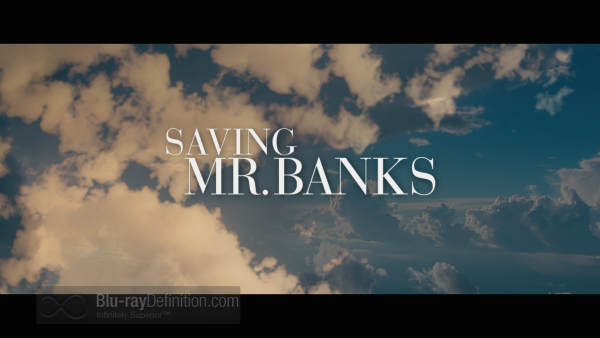 Saving Mr. Banks would seem, at face value, to be an odd choice for a film, dealing as it does, with the making of a film. In the end, SMB is a brilliant testimonial to the power of a great script, superb direction and cast, and spot on cinematography, telling a story that will grab your heart and not let go until the very end. 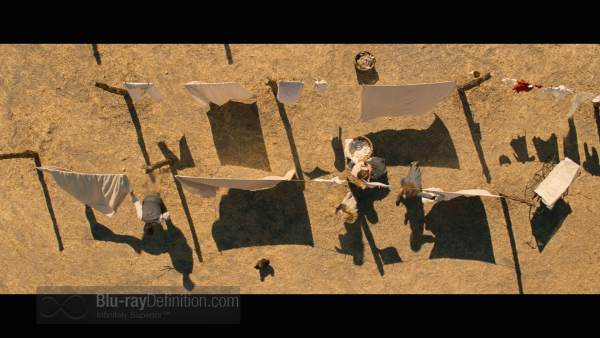 The back-and-forth scene shifting, thought to be essential to the development of the plot, is the main distraction here but can ultimately be excused with all of the high production values that we receive. Oscar-snubbed or not, this is another 2014 must-watch.